The dentist wanted to know how I got such comprehensive cavities. 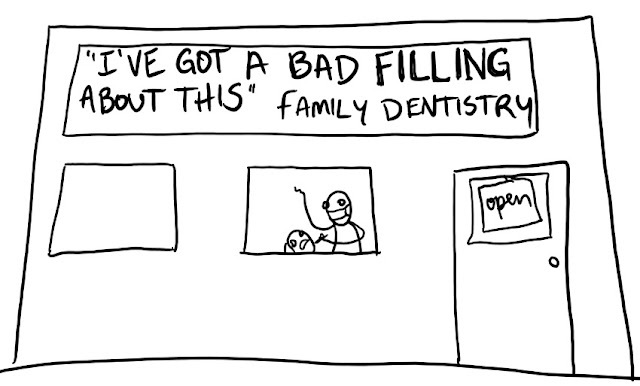 I hesitated: should I tell him about my daily trips to Talk About Your Fillings, the combination pie bar/therapy office? I didn't look forward to the prospect of paying to be judged and have my mouth mangled.